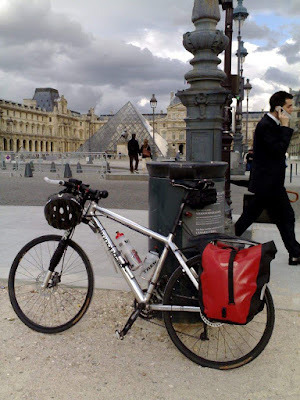 To celebrate our trip to Paris this weekend, I've updated the France 2006 tour diary - my 1,000-mile cycle tour from Birmingham to the Mediterranean. Re-live the joy and the tears in the daily diary here! It's the equivalent of a 2-disc special collector's edition, with larger images (including many that have been gathering dust since I took them), new route maps and more details than before.